I'm still shocked at the news that Tiger Brands knew about the listeroris causing bacteria in their products 18 days ago (14 Feb 2018) but still did nothing. So as we all know, Minister of Health, Aaron Motsoaled confirmed this afternoon that the bacteria could be traced back to Rainbow Chickens and Tiger Brands plants. Enterprise products include the Bokkie, Renown, Lifestyle, and Mieliekip. Listeria causes flu-like symptoms, nausea, diarrhoea, infection of the bloodstream and brain. It has led to 180 fatalities and 948 reported cases since January 2017. Pregnant women,people living with HIV/other diseases which compromise immune systems are urged to stay away from these products Listeriosis. 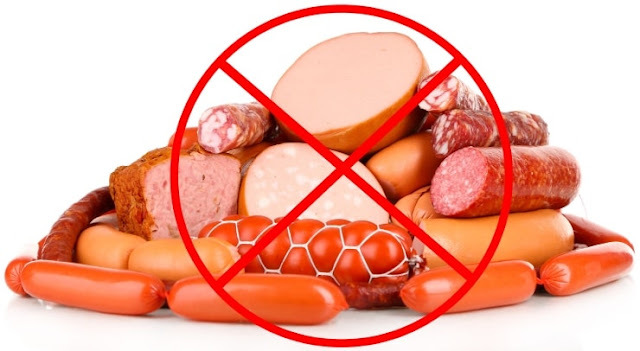 "Although polony is a definite culprit, there is a risk of cross contamination. So viennas and other prepared meats must be avoided, even from companies that are not being recalled, Motsoaledi says. So far what I know is that Pick n Pay has withdrawn all listeriosis-linked food from its shelves. I was at Pick n Pay and they have indeed.In addition, as a precaution, Pick n Pay branded chicken polony, manufactured by Rainbow, is also being withdrawn. Here is a list of all the products that PnP has removed from their shelves. Shoprite tweeted that it would do the same. I can't verify that as the closest one near me closed at 3pm. Woolworths is also recalling all products linked to the food-borne disease. “Food safety is of paramount importance to Woolworths and we take all issues regarding the production of our food seriously‚” the retailer said on its Facebook page. - According to the Consumer Commission, in the case of a safety recall, stores must refund customers for the products even even if they are half eaten or don't have receipts. - Tiger Brands said it was still waiting for the results of its own tests – as the government urged people to throw away its products. - Tiger Brands said it will be meeting with the National Consumer Commission (NCC) tomorrow. It is imperative for us to follow the NCC guidelines in managing the #EnterpriseRecall. We will provide an update as soon as we have more clarity. So please let's not take chances. If you have any processed meats in your fridge, just put them in the a plastic bag and then take them to your nearest retailer for a full refund. Do you know anyone personally who has been affected by listeriosis?